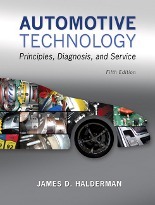 Automotive Technology: Principles, Diagnosis, and Service, Fifth Edition covers all eight areas of automotive service, showing readers how automotive systems are connected, as well as the practical skills that students must master to be successful in the industry. Topics are divided into short chapters, making it easier to assign, learn, and master the content. Formatted to appeal to today's technical trade students, the text provides helpful tips and visuals to bring concepts to life and guide students through the procedures they'll use on the job. To keep the course current, all of the content is correlated to the latest NATEF tasks and ASE areas, and information on hot topics like electric and hybrid vehicles is included. Evacuation routes and infection control precautions. Explains how to diagnose faults, with most chapters including diagnostic procedures and the steps needed to troubleshoot faults. Demonstrates how automotive systems are connected. The theory, construction, diagnosis, and service of a particular component or system are presented together, in one location. All content in the book has been updated and correlated to the latest NATEF tasks and ASE areas. Students can prepare for the ASE Certification exam with chapter-opening Learning Objectives based on specific NATEF tasks. ASE test correlation charts and NATEF task correlation charts in the Instructor's Manual. 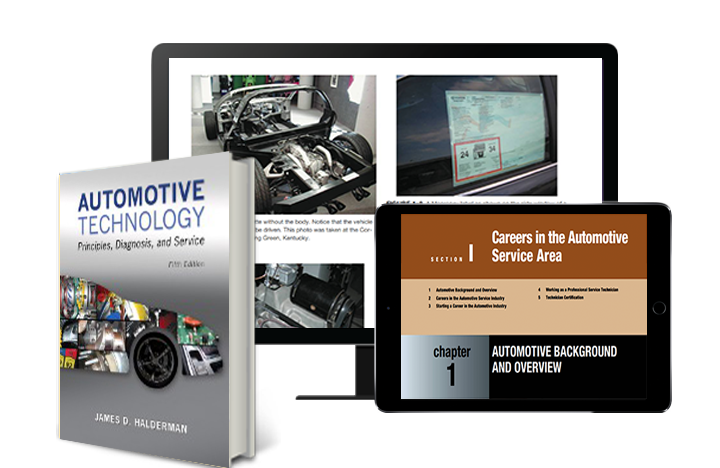 The text is Written from the perspective of a technician and automotive instructor rather than an engineer, technical writer, or salesperson. Safety Tips alert students to possible hazards on the job. Tech Tips offer real-world advice from ASE-certified master technicians. Frequently Asked Questions, based on the author's own experience,provide answers to questions often asked by students and beginning service technicians. Notes provide additional technical information to give students a greater understanding of a specific task. Cautions alert students to potential damage to the vehicle that can occur during a specific service procedure. Warnings alert students to potential harm that may occur to the technician during a specific service procedure.